Continuous use: One of the great things about most machining centers – namely computerized numerical control, or CNC machining, as opposed to manual machining centers – is that machines can be run around the clock to fabricate parts, all by just programming a computer. This leads to a great increase in efficiency when compared to more conventional manufacturing technology, as only one or two people are usually only required to be in the shop to monitor progress. In fact, the only time that many machine tools need to be taken offline is for routine maintenance every now and then – and usually that’s as simple as changing spindles on the milling machines. Easy to use: Fitting to the name, CNC machining is a manufacturing process that runs on computer software, rather than having to manually manufacture a product. This computerized manufacturing isn’t just highly efficient, but very high tech as well. What’s more is that it’s relatively easy to learn and even easier to update, as regular updates are pushed through often to enhance the capability of the machinery. The bottom line is that the process is fairly simple to comprehend and while mistakes can always be made, the technology isn’t something that you should necessarily be intimidated by. Highly accurate: Machine tools are very, very accurate. Because machining is so precise and computerized, manufacturers are able to ensure near 100 percent accuracy on every run (on some machine tools, accuracy is up to 0.01 mm). Not only are machine tools highly accurate, but they also offer great repeatability, so they have the potential to be highly accurate over and over again for as long as you’re completing part runs. Works in multiple materials: Not too long ago, most machine tools were only able to work on one or two materials. That’s not the case anymore. No, today machine tools can operate on a variety of materials, from steel to aluminum to space age materials and even to the likes of wood and plastics. Machine tools are no longer limited by materials, which is a big benefit in today’s manufacturing economy. Environmental friendliness: Not only are today’s machine tools designed so that they use as little energy as possible during runs, but many also offer recycling features. For instance, many subtractive manufacturing machines – which cut away material from a block – now offer a feature that gathers scrap material from the process and allows operators to recycle it so that it can be eventually used again. In terms of the former point, many even offer integrated solutions to allow operators to monitor how much energy they’re using. Some more advanced machine tools include a whole gamut of technology to analyze the entire system and advise on ways to eliminate waste and conserve energy. Design software is highly advanced: Another benefit of many machine tools isn’t necessarily the machine tool itself, but the software that helps drive it. For instance, many software programs are so advanced that life-like simulations can be virtually created before a particular product goes into production via a machine tool. This software may essentially eliminate the need for prototyping in some cases, as the high quality of the modeling and simulation software is able to do it for the operator. Needless to say, but eliminating the physical prototyping from the process helps save both time and money in production runs. They’re durable: When you acquire a machine tool, you’re acquiring a piece of heavy machinery – and a quality piece of heavy machinery at that. Machine tools are fabricated from high quality materials and designed to be durable and long-lasting. 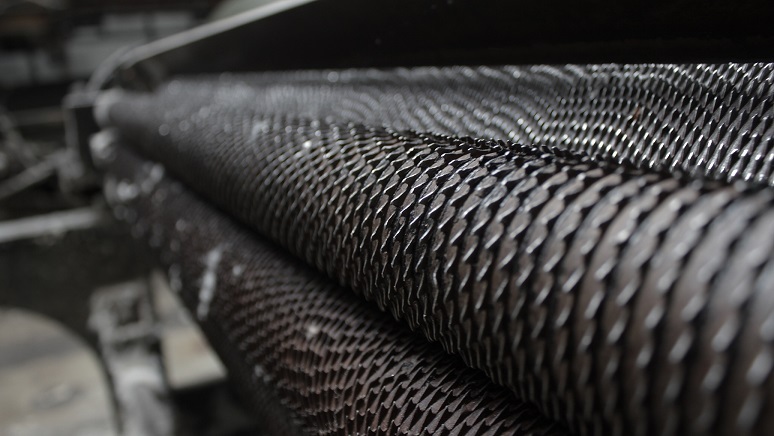 After all, if you’re planning to run a machine around the clock and nearly non-stop, it’s going to have to be reliable and it’s going to have to be able to stand up to routine wear and tear. Today’s machine tools can do just that, as they’re more durable and reliable than ever before. From durability to repeatability to high accuracy, the aforementioned seven reasons are why we love machine tools so much – and why you should love them too. With that being said, machine tools make a fine addition to any machine shop or manufacturing facility. But one thing that scares many people off from the computerized machinery that has revolutionized manufacturing today are the high costs that come with such equipment. Machine tools are heavy machinery – and they’re not exactly inexpensive to acquire. That’s where buying used or refurbished machine tools from outlets such as Bid on Equipment come into play, as you can ensure you’re getting a quality piece of equipment for much less than brand new price. This can be especially helpful if you’re just starting a machine shop and have limited capital. By visiting Bid on Equipment, you’ll find some of the top brand names in machine tool fabrication that you can place bids on in an effort to add such equipment to your operations. For more information on why we love machine tools – and why you should too – and to acquire your own machine tool for your operations, contact Bid on Equipment today.